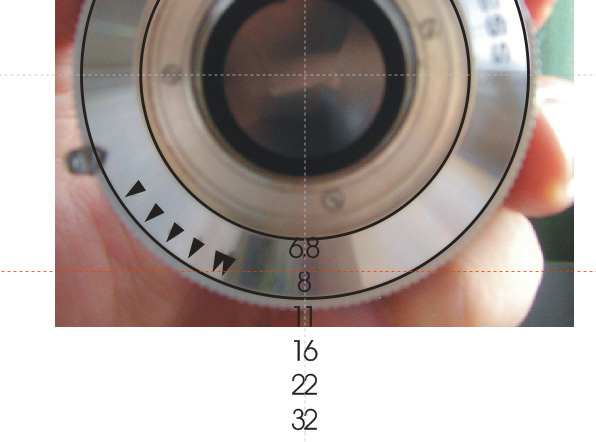 I bought two old lenses from eBay, one is a Schneider SA 120/6.8 in compur shutter, but the aperture scale is not fitted, seller marked it on a sticker; another one is a Schneider Angulon 90/6.8 in Plaubel barrel, without shutter, meaning I have to find a shutter to replace if I want to use it on my Byron. 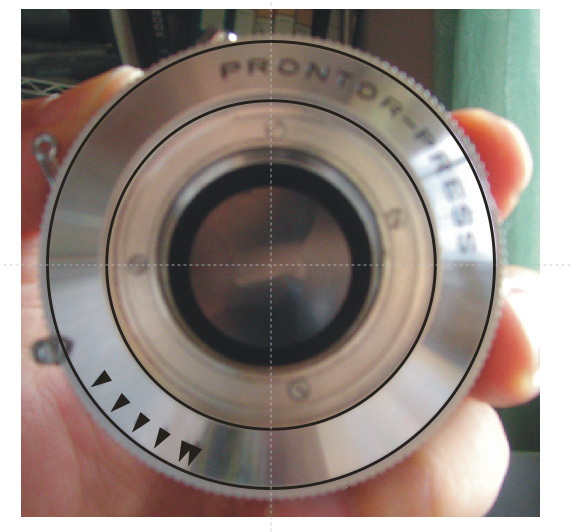 I bought a Prontor-Press shutter for 90/6.8, a bargain, but without any aperture scale engraved on it, I had to do it myself. 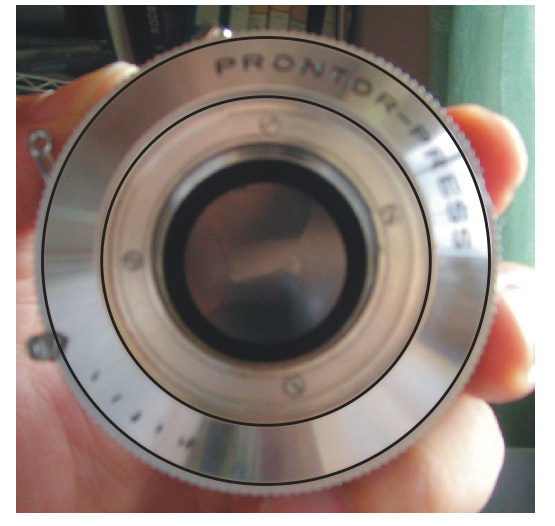 Then take a picture of the shutter, place the image into a graphic program (I use CorelDRAW!) as template, scale it into exact size, then trace those dots you mark, I use tiny triangle, much easier to see in dark environment. 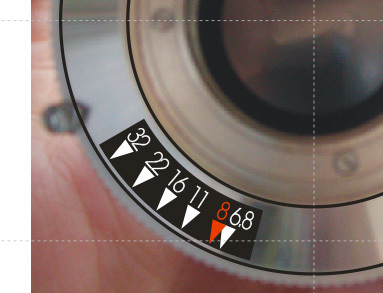 Now place aperture digits align the center of the circle, rotate them till they are at the place should be. 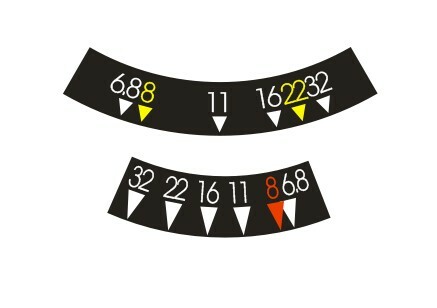 If the digits are too closed, change the color. Reverse the color, that makes it easier to see in dim light. 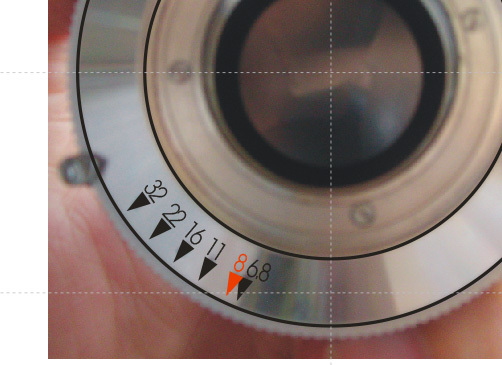 Same way to draw a scale for 120/6.8. Then export it into a 200ppi image, saved in a SD memory card, go to a photo shop near by, print it as a 4x6 photo print, when you get the print, cut the scale, paste it to the shutter. The world is functioning again!